Considering the low necessity for mechanical timepieces today, what the Time Æon Foundation does will be hard to comprehend for most sons and daughters of the 21st century. The initiative aims to save the soon extinct traditional watchmaking know-how that once shaped timepieces. We spoke with David Bernard, director of the Time Æon Foundation about their past and future projects. In the age of almost limitless information recording capacities we are losing once ground-breaking knowledge every day. With the advancement of technology certain jobs have become extinct. As sad as it sounds, with each profession passing away, the specific techniques once exercised and the tools they used and perfected die too. The Time Æon Foundation was established by highly-esteemed watchmakers to capture and document all these for the future generations. We are aware that in this form these methods are not necessary today. However, we believe that this knowledge contributes to the global intelligence of humankind and therefore they must be preserved. 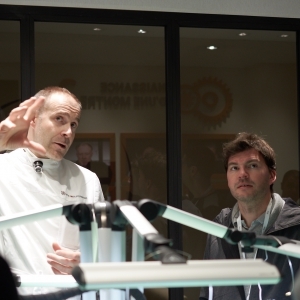 On the other hand, they continue to inspire us at Greubel Forsey even today. – David Bernard started our conversation. David Bernard is the director of the Time Æon Foundation. 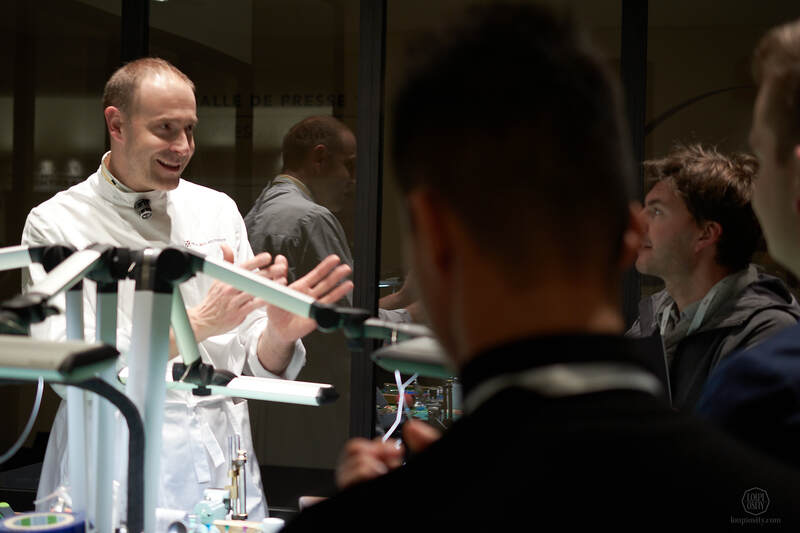 He graduated from the Technicum La Chaux-de-Fonds and worked as a watchmaker at Breguet, Vacheron Constantin and Daniel Roth & Gerald Genta Manufacture before joining Greubel Forsey in 2008.
Who is behind the Foundation and how did it all start? The Foundation is nobody. We have no watchmakers, no people working for the Foundation – apart from me of course. We are a family and our aim is to collect the knowledge and document it. At the same time, teach whatever we have gathered and learnt to other watchmakers, so that we ensure they are preserved for the next generations. So Robert, Philippe Dufour and Stephen Forsey looked for this one person they can transfer their know-how to who was selected to be Michele Boulanger. You must know that Robert and Michele met during their studies, so they were already friends. 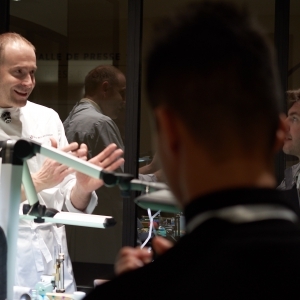 Michele continued his career as a teacher, which is essential as we want to transmit the knowledge to other watchmakers. When you have a teacher, this couldn’t get any better: you can give him something that is mostly forgotten but still exists in the heads and hands of Robert, Philippe and Stephen, and he can pass it on to others like none of us could. 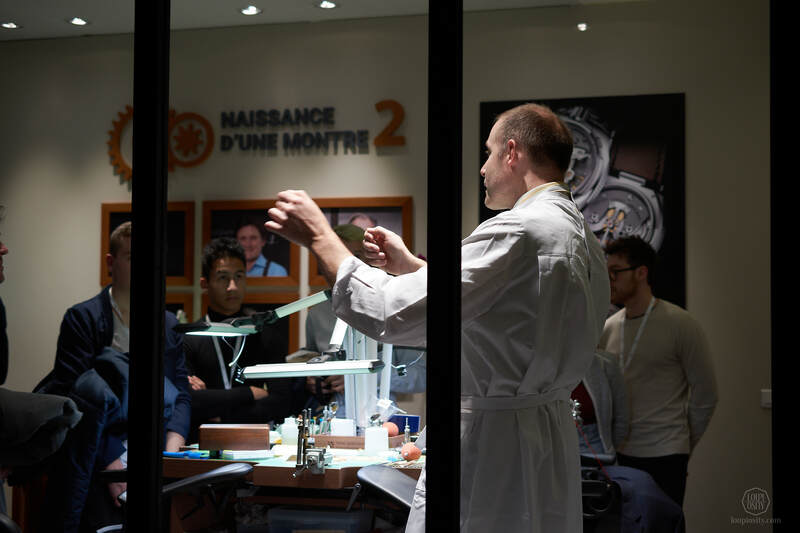 He put his career on stand-by for 3 years to dedicate himself to the project, we called Naissance d’une Montre (Birth of a Watch). He knew how to make parts by hand, but with this project he undertook to construct and complete an entire working watch by hand, which is on an all new level. It requires another kind of intelligence. You must know the capability of your machines (well, you must actually have them in the first place) just like your limitations in terms of operating them. Limitations might need you to adapt the components to your tools, which is a totally different factor that we have missed for some 100 years. Philippe worked a lot with Michele to teach him the use the tools and find out where the limitations are: both those of the tools and the individual. 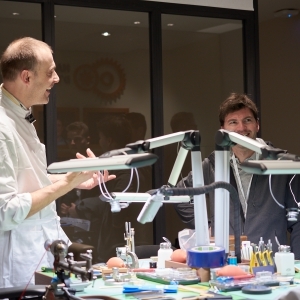 In mastering the old finishing techniques, Michele also worked a great deal with a lady called Séverine Vitali who is in charge for decoration at Greubel Forsey. 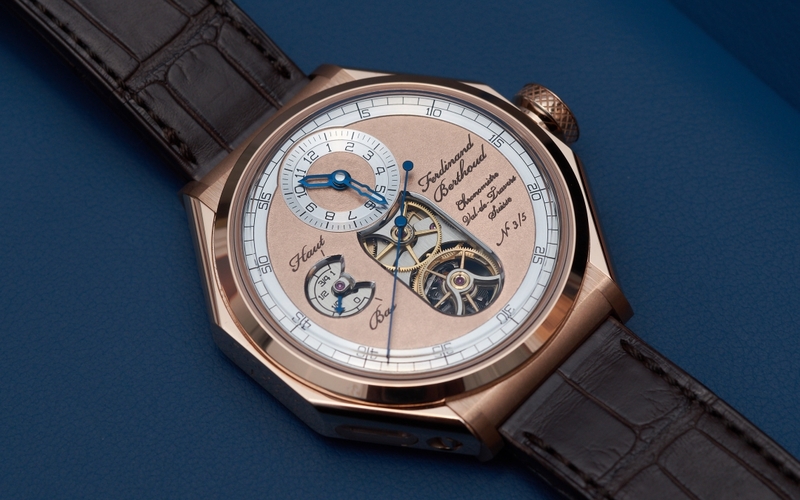 Michele designed and created the initial watch entirely by hand. The prototype he did was auctioned by Christies in Hong Kong in May 2016 for USD 1.5m. 10 units are planned of these: 5 more by himself (there are another 2 to go) in the next 3 years and the rest is done by watchmakers at Greubel Forsey who he passed the know-how onto. So as you can see, while getting these watches prepared, we are transferring the knowledge to 3-4 watchmakers on courses. As you can guess this is not the most efficient, therefore we have been speaking with a watchmaking school in Switzerland to collaborate on sharing this wisdom to a broader group of students. 30 years ago there were still handmade watches in the watchmaking schools because there were Montre Ecole (school watches) done. Today this is almost gone. Strange to say, but with the emergence of new technologies, much of the old knowledge has become forgotten. Because of the changing market needs, teachers have not practiced and taught these skills anymore. We want to teach them to reach that level of handmade excellence again. Additionally, we want to document all these working methods in a Traité d’Horlogerie, a detailed technical book dedicated to watchmakers. 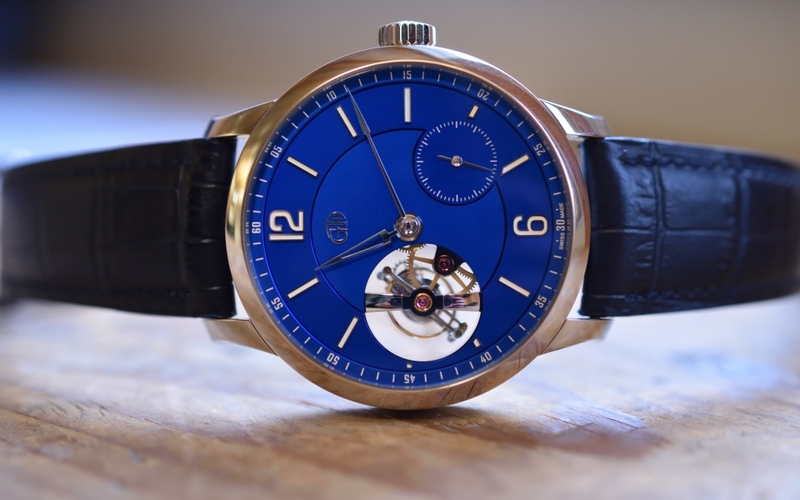 A bit like what Louis Moinet or Ferdinand Berthoud did long time ago. It is going to be a book composed of 6 chapters. 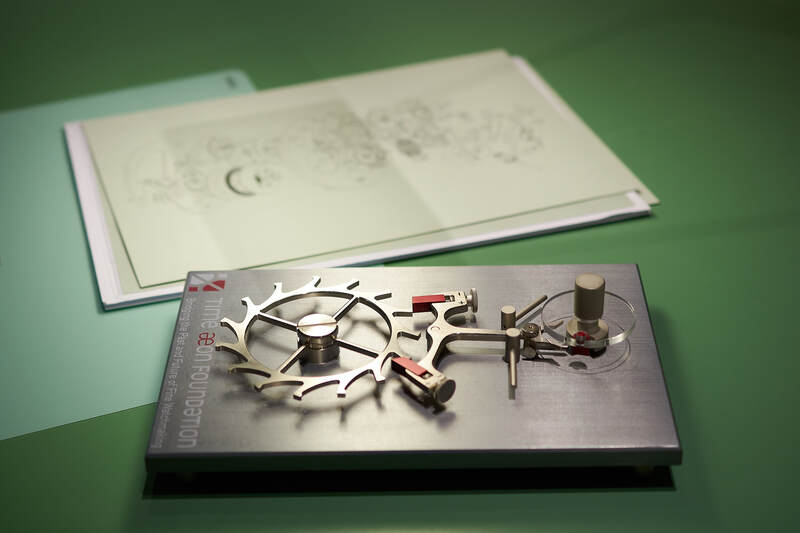 The first, how you create a handmade watch in the reflection of your machines and subsequent sections focusing on decorations, how to clean watches, oil watches, assemble watches and regulate watches. About 3 years ago we met Cyrano Devanthey (URWERK). He has been collecting machines used for watchmaking for 25 years, trying to restore and work with them. About 10 years ago he and his mate Dominique Buser said okay, let’s take the challenge and make one watch entirely using these. Their final piece called Oscillon’s l’Instant de Vérité (“The Moment of Truth”) embedded their endless internal drive, just like the capabilities of these old tools that he had collected. I find it a fascinating approach. The dial, the hands, the case, the main plate, pinions, wheels, the balance wheel, everything is made at his home with all the techniques he learnt by experimenting with the old tools. So he presented the watch 2 years ago. 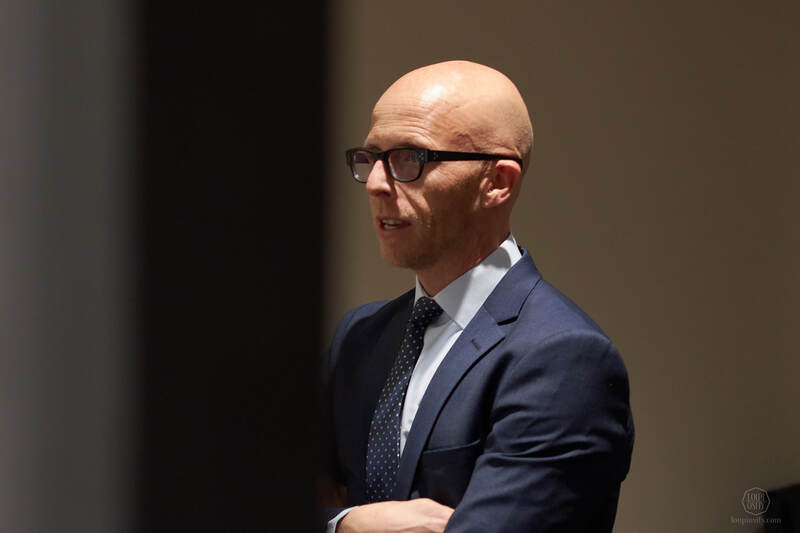 We at the Foundation found this a remarkable venture, so Robert spoke with Felix Baumgartner to define another iteration already under the aegis of the Time Æon Foundation. 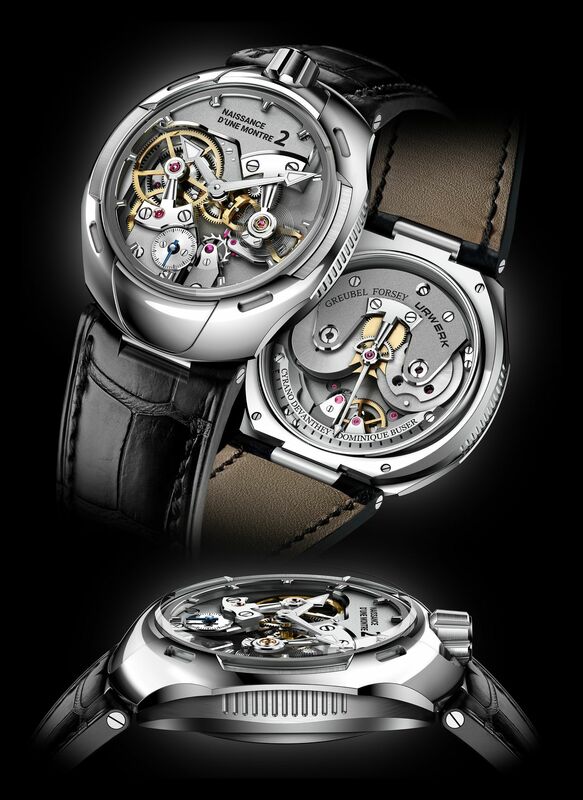 The watch is based on the movement they did previously but this time reflecting on the Greubel Forsey movement architecture and URWERK’s external design codes – with the project we intend to make the perfect fusion between URWERK and Greubel Forsey done entirely by Dominique Buser and Cyrano Devanthey. The naturally intense ping-pong of planning and discussion within the team moved towards flipping the existing movement but have the time indicated in the front and leave the power reserve display at the back. In 2018, we presented the first rendering of the movement, which the guys continued to work on. 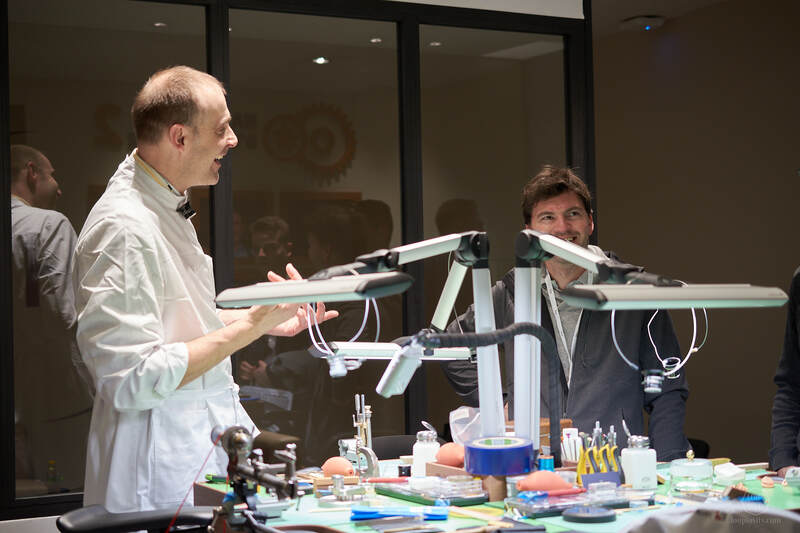 This year it was so funny to speak with the hard-core Greubel Forsey and URWERK fans about the model that is taking shape. They were like “hey, this feels like when you go to another house or apartment and you know you’re not at home but you still feel so”. URWERK’s avant-gardism and futuristic approach looks back in a handmade watch with a movement designed and made by Dominique and Cyrano (pinions and wheels), but having the bridges and the main plate completed by Greubel Forsey’s hand-finishing department. So the working prototype is here with the big balance at 3 o’clock and the differential at 9 o’clock. At the back, you would think it’s two barrels, but in fact it’s like those two bobbins on the old Revox recorders. There is a single spring which goes from one barrel to the another. Just like at other probably better known utilisation such as at the seat-belts in the cars or the wire in the vacuum cleaner as you pull it. 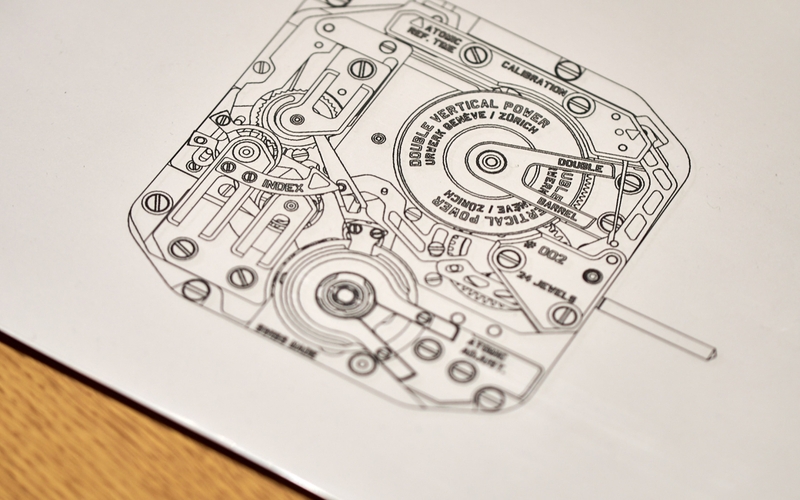 This setup delivers a constant force, which we need for precision in watches. So for this reason the tensator is perfect, but it requires twice the space. The prototype of the case will be ready by Basel. The watch will be a unique piece finished by the SIHH 2020 in April and it will be sold with Christies once again in May. Once we will get the prototype case, we will showcase the piece to collectors all over the world from Kuala Lumpur, Hong Kong, New York to perhaps Dubai. 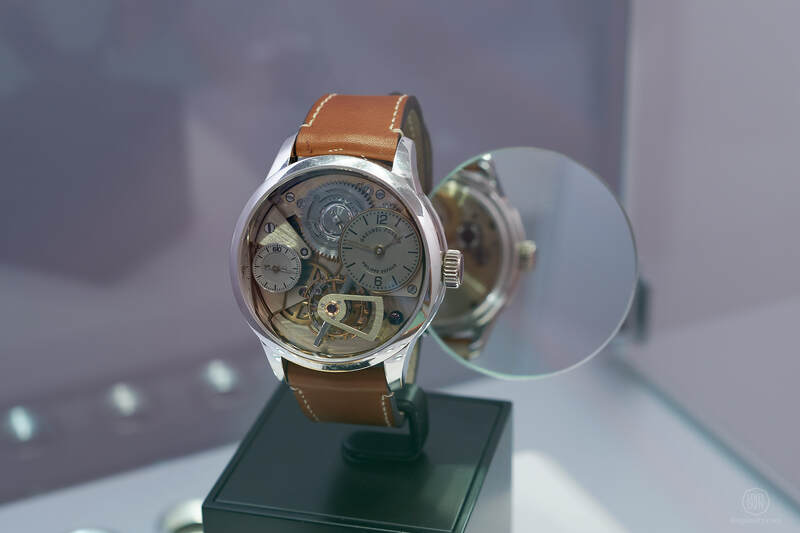 In the Auditorium of the SIHH 2019, Karl-Friedrich Scheufele announced that following a visit to Greubel Forsey, he decided to participate in the initiative. The third Naissance d’une Montre project will be undertaken by Chronométrie Ferdinand Berthoud in a way that the handmade watch will be born from the collaboration of all required departments of the manufacture: one engineer will be in charge of constructing the movement, micro-mechanicers will be involved from a very early stage to understand how the design can be implemented with the know-how they currently have and using the traditional tools (these they might even borrow from their museum). Then others will be responsible for decorations. The goal is to make a true Ferdinand Berthoud watch entirely by hand. 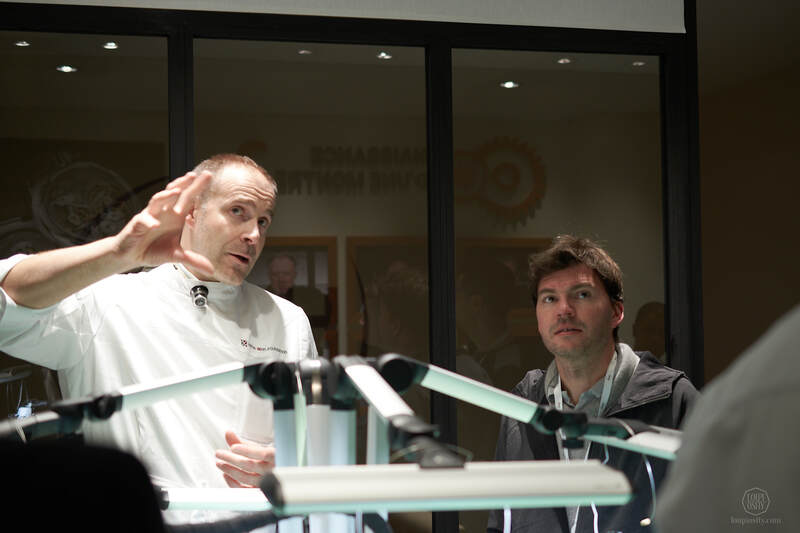 The Foundation will be there to support Chronométrie Ferdinand Berthoud in terms of the manufacturing know-how we gathered, but there are challenges which currently I don’t know how their engineers will overcome. For example, the timepiece will probably have the fusée chain mechanism so characteristic to Chronométrie Ferdinand Berthoud. This I’m quite certain nobody has created in the past 100 years. Ferdinand Berthoud himself created many tools back in the 18th century and as far as I know he also made one to cast fusée chains. Whether this tool exists today, I’m not sure. And even if it does and it can be brought back to being functional, I don’t think anyone can operate it today. 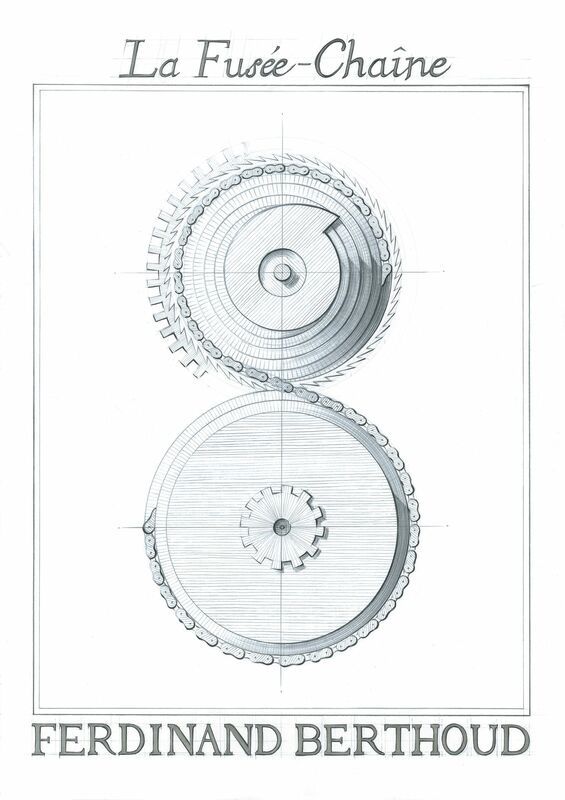 Mr Scheufele also considers a thermic compensation balance wheel and a special escapement, which makes the plan rather ambitious. But so is our program at the Foundation. I believe that realistically, it will take something like 5 years from now until we see the first prototype emerging. Until then, follow and meet us at the events – we would love to share what we have learnt. Photo credits: Time Æon Foundation, Loupiosity.com.